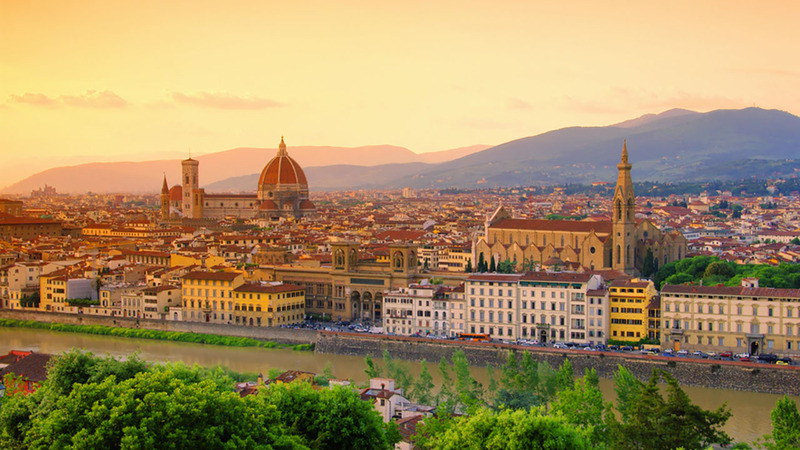 Wandering the streets of Florence, you’ll see top attractions like the Duomo & Ponte Vecchio. Explore hidden parts of the city rarely seen by visitors like Dante’s old ‘hood and the Oltrarno area on the other side of the river. Tips and recommendations on where to eat & visit will help you get the most from your vacation. Your first evening in a new city can be as intimidating as it is exciting. 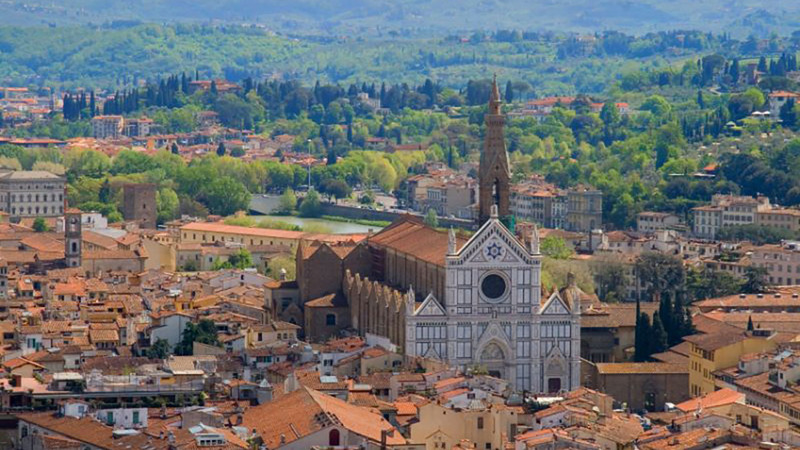 Make sure you get off on the right foot with Florence on our intimate city stroll. Meeting in the late afternoon, you’ll spend 2.5 hours with a local guide seeing the top attractions of the city, walking its most important streets and exploring those quieter neighborhoods that hold the best restaurants and bars. Armed with a plethora of local tips you'll know how to navigate the city and track down the most authentic food from day one. 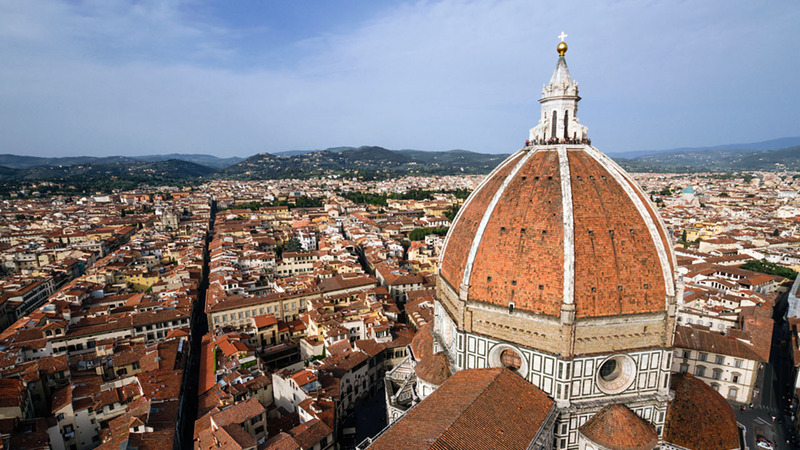 Your tour starts at an easy-to-find spot: Piazza del Duomo, the Square of the Dome. Your guide will give you a brief introduction before leading you into the quieter streets of the Santa Croce neighborhood. This is where Dante used to hang out and where Michelangelo both lived and was buried. Few visitors venture into this part of town but, as you’ll see, that’s their loss. Along the way, your guide will point out Sant’Ambrogio Market which will be a definite must-visit for foodies but is also a good focal point for authentic and reasonably-priced restaurants on this side of the river. 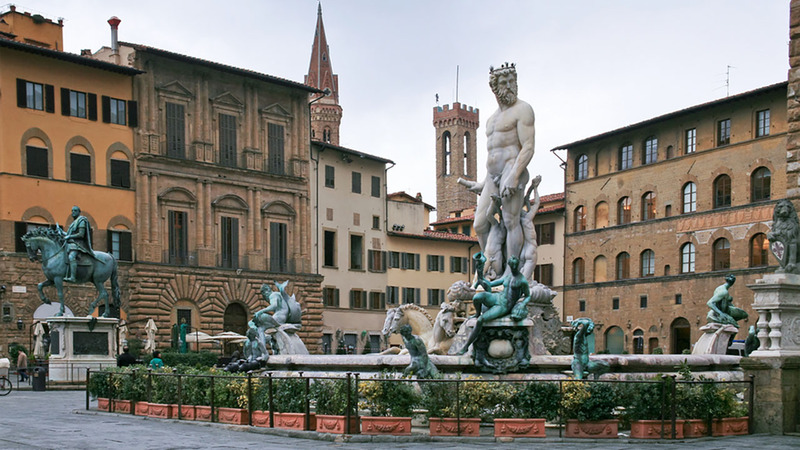 Together you’ll see Piazza della Signoria, Florence’s most impressive outdoor sculpture gallery and the old home of Michelangelo’s David. Eventually, he proved too beautiful to sit outside but you’ll see a replica in its original position in front of Palazzo Vecchio. Make your way towards the river and across the famed Ponte Vecchio bridge to the quiet neighborhood of Oltrarno. Again, few visitors ever see this part of the city and again, they're really missing out. You’ll see the foreboding Pitti Palace and get recommendations for some of the most authentic restaurants and bars in the city (with the most affordable prices). Piazza Santo Spirito is a great area for eating, so this is where your guide will leave you at around 7.30PM. That’s dinner time in Florence, so what better time to test out their recommendations? During your ramblings you’ll enjoy a gelato break to sample the city’s famous dessert and get some tips on how to tell a good gelateria from a bad one (hint, it’s all about the pistachios). 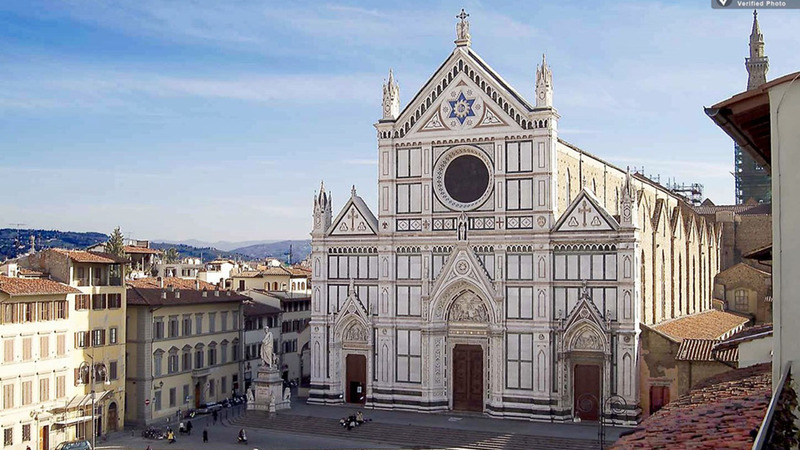 In just 2.5 hours you’ll get to know Florence through a local's eyes, guaranteeing a better vacation all around. We had a very pleasant and enjoyable evening with Bernado. His knowledge and his personal delivery style made it like walking around with an old friend. He has a great sense of humour. After doing this tour it made finding our way around Florence over the next three days very easy. I would highly recommend this "Welcome to ......" tours. Ismael was a fantastic guide. We had a wonderful tour, would definitely do it again next time we are in Florence and would request Ismael as our guide. Thank you. We had a wonderful tour of Florence with Ismael. He was very knowledgeable of the city and itâ€™s history! Definitely will recommend! This is the perfect tour at the start of your vacation in Florence as it gives you a great overview of the most important historical places. Alessia has a wonderful sense of humor, keeps the tour light and is quite engaging. She is quite knowledgeable about the history of Florence and provides extra insights and tips throughout the tour. My parents were pleased and I would highly recommend this tour for anyone, especially for those staying a brief time in Florence. The tour guides are experts and professionals in their own right and the groups are small thereby providing an intimate experience. Wear comfortable shoes as it requires a lot of walking. Great tour & special introduction to a wonderful 4 days in Florence.